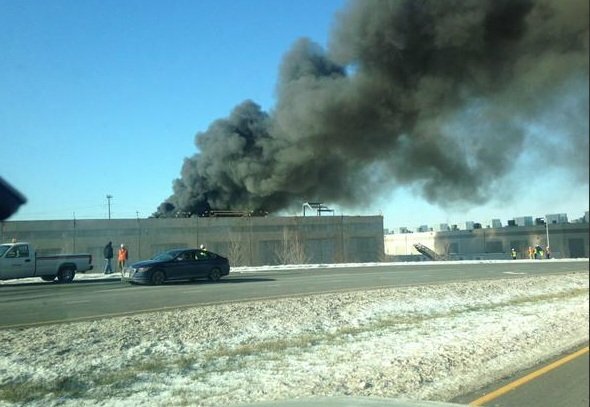 An Amazon data site still under construction in Ashburn, Virginia caught fire on Friday. The blaze was quickly brought under control. Welding equipment has been blamed for the fire, which is understsood to be at a facility being built for Amazon by Corporate Office Properties Trust. Estimates put the damage at up to $100,000, but no IT equipment was yet in place at the building. No people were hurt. The fire was started when welding equipment ignited building materials which had been stored on the roof according to reports. “It was a fire on the roof, involving the roof, roofing materials and construction materials. Workers who were on the roof when the fire broke out were able to extricate themselves safely,” said Mary Maguire, a Loudoun County Fire, Rescue and Emergency Management spokeswoman in a statement quoted by Reuters. Amazon is building data centers out very rapidly, and Northern Virginia is a fast expanding center for data center space, around Ashburn, Loudoun County, where a global of the Internet node is understood to carry some 70 percent of global Internet traffic. Amazon is also hoping to build a data center in Haymarket, Prince William County, but this is being opposed strongly by residents because of the powerlines it would require.